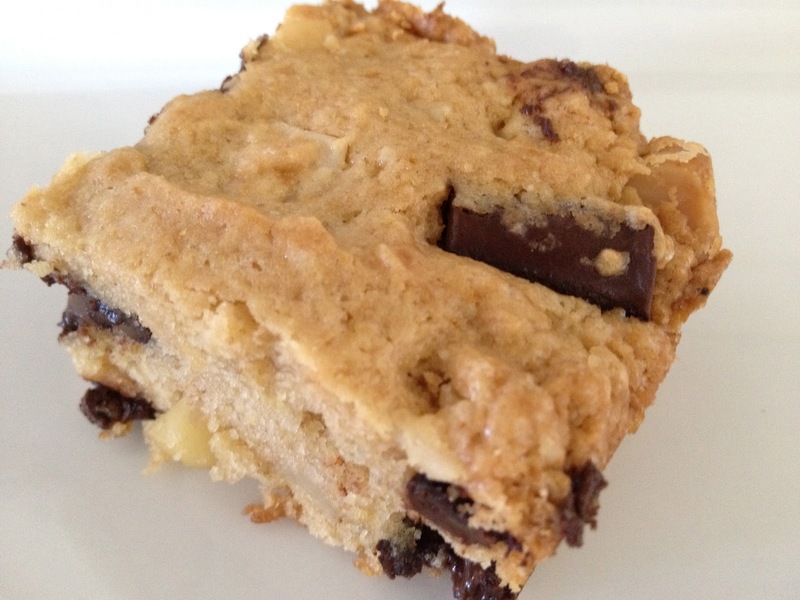 These Eat for Life Mega Chocolate Chunks are perfect for my out-of-this-world blondies. The macadamia nuts are my favorite part though! Preheat oven to 350. Roughly chop the macadamia nuts and set aside. Sift flour in a big mixing bowl and add baking powder, vanilla powder, salt, baking soda and sugars. Mix with a fork. Add the macadamia nuts and chocolate chunks and mix well to cover. Add the coconut milk, sunflower oil and flax eggs. Mix really well until a dough forms. Turn mixture out into 9×9 baking pan and spread out with a spatula until the pan is filled. Bake for 35 minutes or until a toothpick comes out almost dry. Let the blondies cool and then cut into squares. Enjoy!